Leslee and Jonathan are a fun and stylish couple. 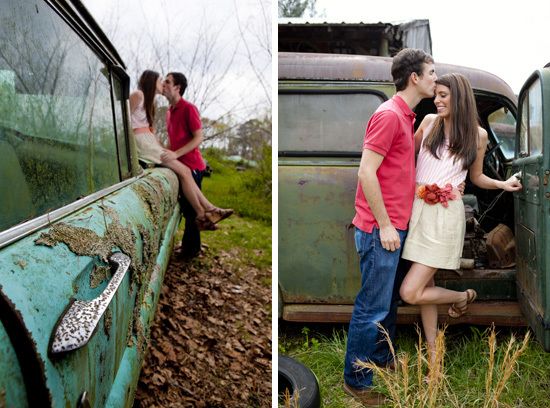 They wanted a vintage car look for their photos, so they headed to a classic car junk yard north of Atlanta, Georgia. 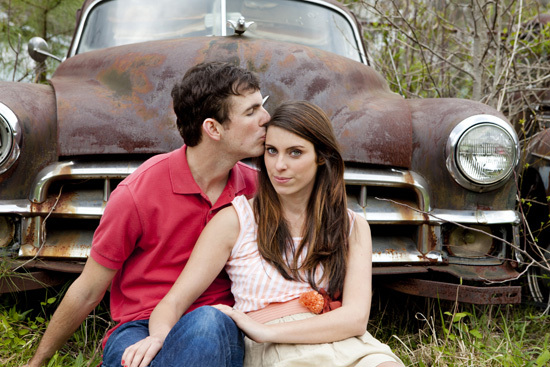 To see more photos from this cute couple's artistic engagement session, visit the True Expression Photography blog.